Anemia is a frequent problem in renal transplant recipients, the most frequent cause being erythropoietin, allograft failure, iron deficiency, hemolytic anemia, immunosuppressants and virus infection. Parvovirus B19 can cause persistent viremia and erythropoietin resistant erythroid aplasia in immunosuppressed patients. Two cases has Parvovirus B19 infection. Two men patients with a renal transplant at 36 and 41 years of age. A triple immunosuppressive treatment with prednisolone, tacrolimus and mycophenolate mofetil was then initiated. They were development of anemia (Hb 5- 6 g/dL) during the postransplant period, after transplant 3 – 4 months, but it was not consistent with acute rejection. Anemia assessments by decreased erythrocytes and erythroid aplasia on bone marrow aspiration. Blood parvovirus B19 PCR level was found to be 1.91.109 and 5.2.1010 IU/mL. Immunosuppressive drug doses were down and IVIG treatment was instituted for 3-5 days. After this treatment, the hemoglobin level increased from 6.5 to 12 mg/dl in first patient and 5 to 13 mg/dL in the second patients at the 2nd month, respectively. In conclusion, when anemia develops in renal transplant recipients in the absence of rejection and hemolysis, parvovirus infection should be considered. Suzanne Monivong Cheanh Beaupha (Thanh Thanh ) has completed her Dr at the age of 24 years from University of Medicine and Pharmacy at Hồ Chí Minh city. 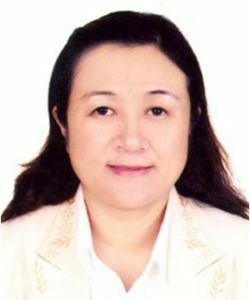 I has completed PhD at the age of 51 years, she is a lecture as Hematology in University of Medicine and Pharmacy at Hồ Chí Minh city , and she is a vice director of Hematology Department in Chợ Rẫy hospital in HCM city . She has published more than 20 papers in journals of Medicine in Viet Nam.